Next → Next post: Should Swanston/Flinders be a scramble crossing? good on you. Hope the tenants are decent folk (and the neighbouring tenants). I assume you can negatively gear so your rental returns aren’t that important. I have a friend who owns multiple properties and being a landlord really reduced his faith in humanity. His tenants were always trying to squeeze him for everything they could get with sob stories aplenty. I hope that doesn’t happen to you, but be ready for the possibility. Our investment flat did very well in capital growth but it never made a profit and we had to constantly contribute, in early days because the interest well exceeded the rental and later, maintenance. If you think you may sell it in the future, it might be a good idea to look up capital gains tax being reduced by living in a property for one year. Keep a close eye on the property manager too. I want to be a good landlord but the lack of communication coming from the property manager and trying to get any thing done is super frustrating. Good Luck with being a landlord! We bought an investment town house in Noble Park in the early ’90s, but at the Sandown Park end. We held it for seven years. It was hard to find good tenants. The agent gave one his bond back. Then we discovered the hole he had punched in the front door – the hole was covered by a poster and the agent hadn’t noticed. After about 7 years we sold it and made less than 10% capital gain. We barely broke even. The rent didn’t cover the interest, so there was some negative gearing. If we had kept it for another 18 years (till now), the capital gain would have been more like 300%. But better capital gains are in the inner-suburbs. Our home is East Bentleigh is worth about 10 times what we paid for it 30 years ago, and if we could have afforded to buy in closer to town, we probably would have gained even more. Shares are much more flexible and lend themselves to many styles of investing from trading to hold and accumulate. If you still have your XRO shares, they are within 5% of your buy-in price, and may yet show a profit. Now may not be the best time to invest in Bank Shares, but they still pay great dividends (Bendigo Bank is trading on a 6% yield, which is more like 8% when you consider imputation credits). Anyhow, I hope your real-estate experiment is a success. 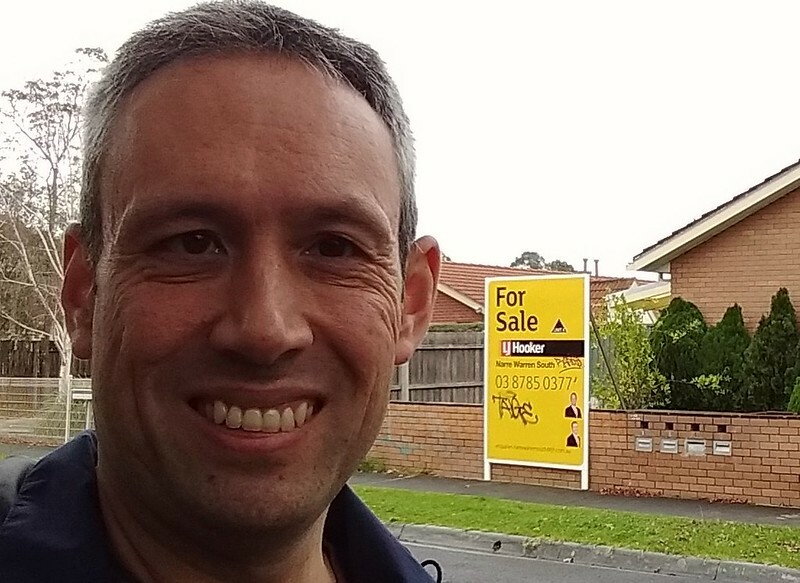 Noble Park might be a bit of a late bloomer in the market. I’m not sure what it’s like these days, but a decade or so ago bizarrely it was cheaper to buy a house in the areas roughly between Clayton and Dandenong than it was in significantly further out suburbs like Narre Warren and Berwick, which people saw as being more “family friendly”. L2 – this pattern is not unusual and still exists in other corridors. For example compare closer in Frankston North with further out Mt Eliza or Mornington. Deer Park vs Caroline Springs. Or Laverton vs Pt Cook. Braybrook, Jordanville and Heidelberg West are others. I would put it down to a combination of 1. The allure of a new house (with two bathrooms! ), 2. Being near demographically similar people (most people prefer similarity over diversity, hipsters are an exception but their moving into an area reduces socio-economic diversity long term), 3. The reputation of schools, 4. Concerns about public safety, 5. Potentially new facilities (bear in mind things eg schools and bus services were being ripped out of established areas to be spread more thinly over a larger suburban area), 6. The new house effect where outer areas are dearer because construction + land costs exceed established homes in tired unloved areas a few suburbs in and 7. First homebuyer and tax benefits for building new (eg extra FHO grants, eligibility for overseas investors, generous building depreciation) as opposed to buying established. When it was developing Roxburgh Park was considered way ahead of Dallas or even Coolaroo. But now Roxburgh Park has degentrified greatly. Buying in Dallas would have been a safer bet despite being near the bottom of income, school, or SIEFA tables. Similarly Noble Park has come off its nadir of a while back when there were riots and I suspect is less likely to go backwards than newer outer places.